When attached to the Vixen R130sf the GStar-Ex3 camera together with its revised version of ToupSky allowed quite fine-grained on-screen unguided images to be viewed in real time making it very suitable for public viewing purposes. 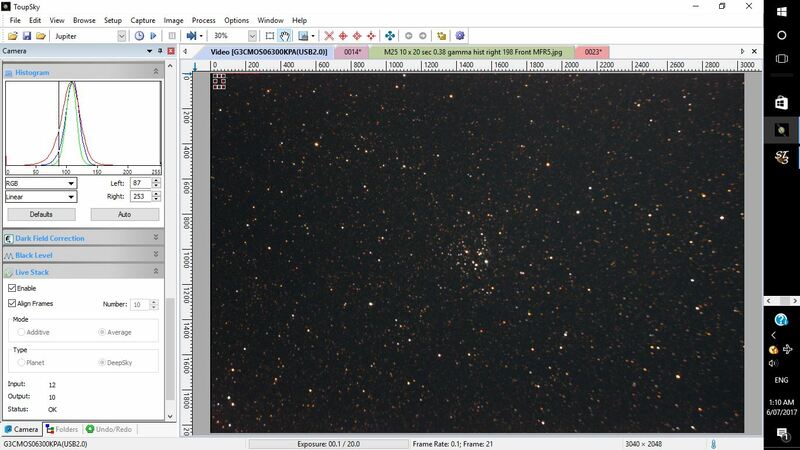 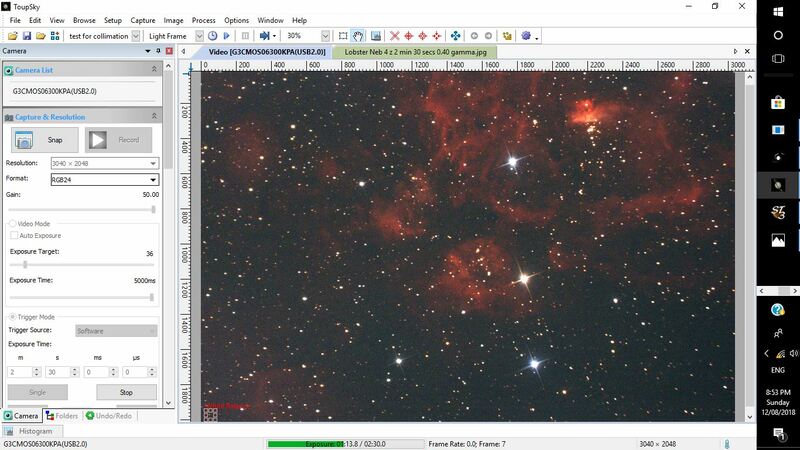 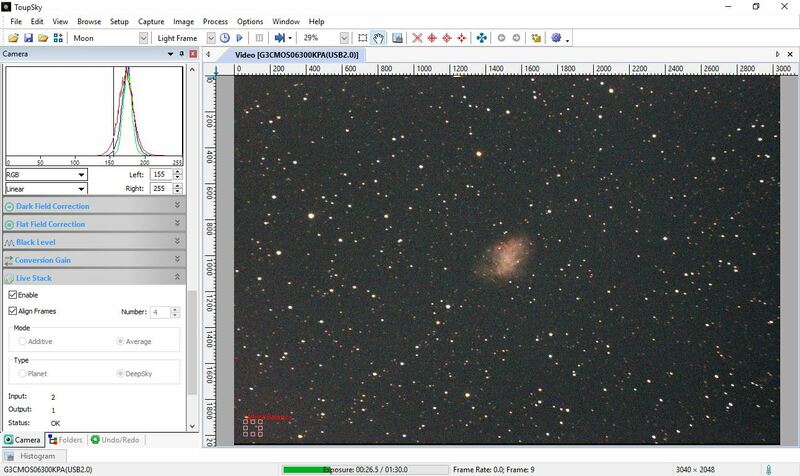 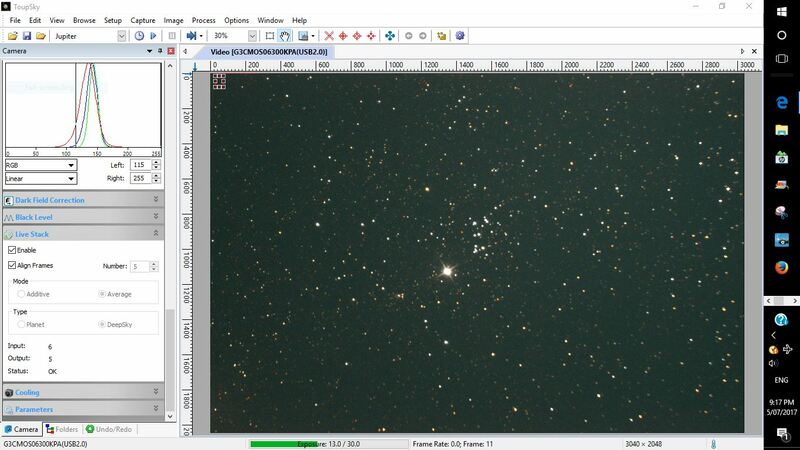 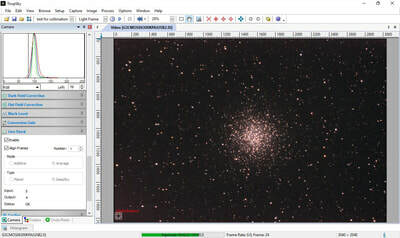 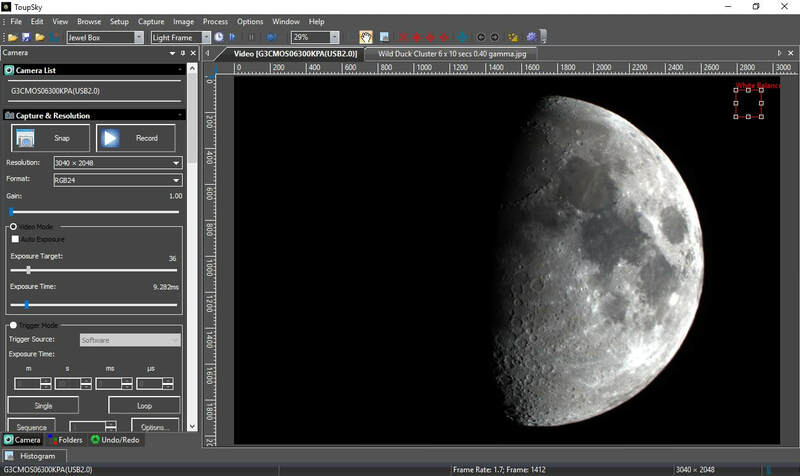 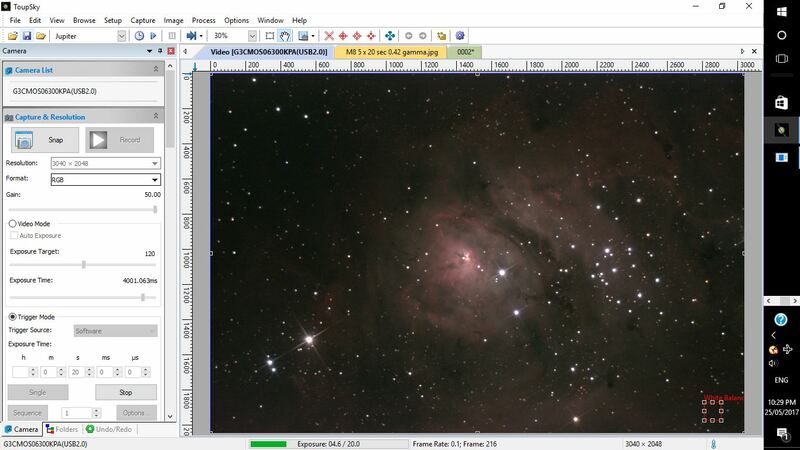 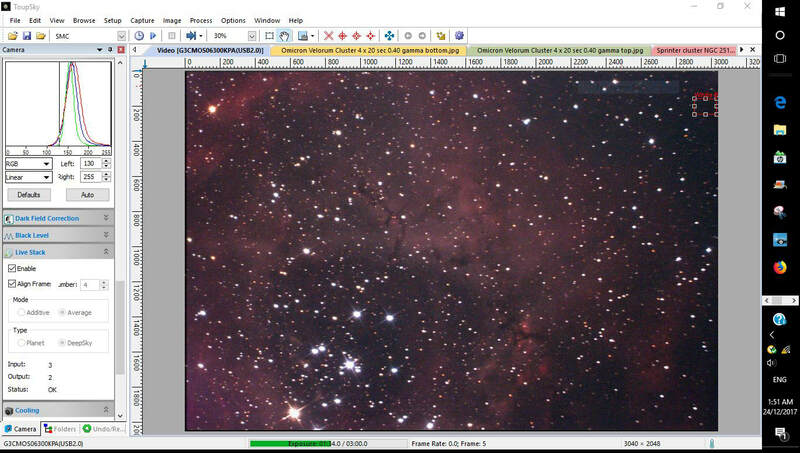 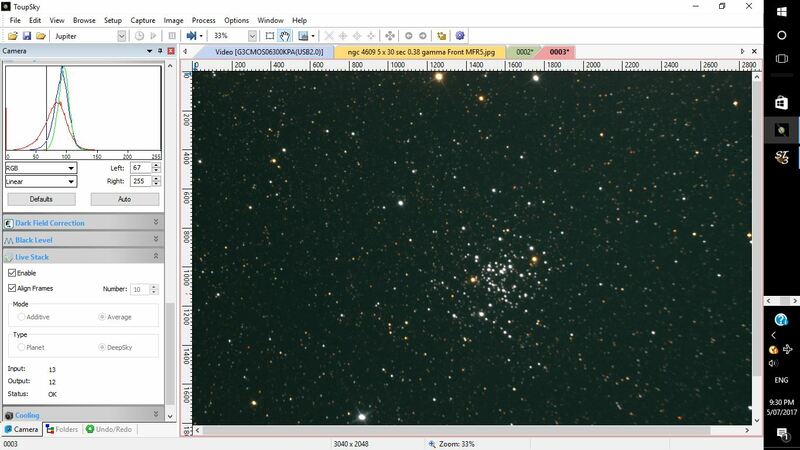 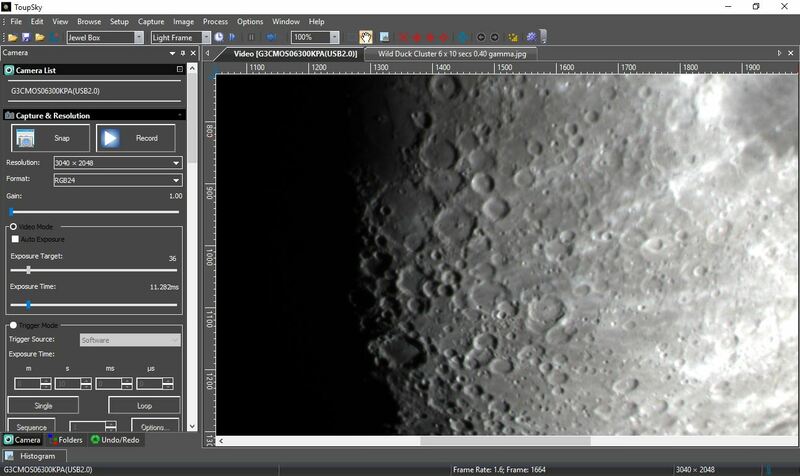 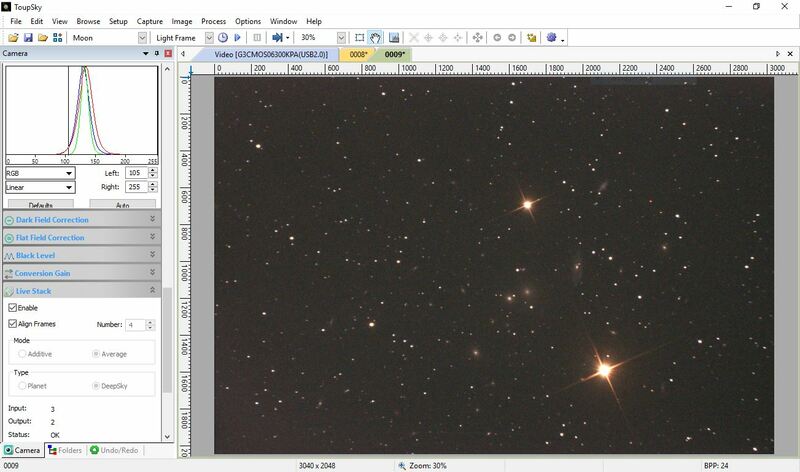 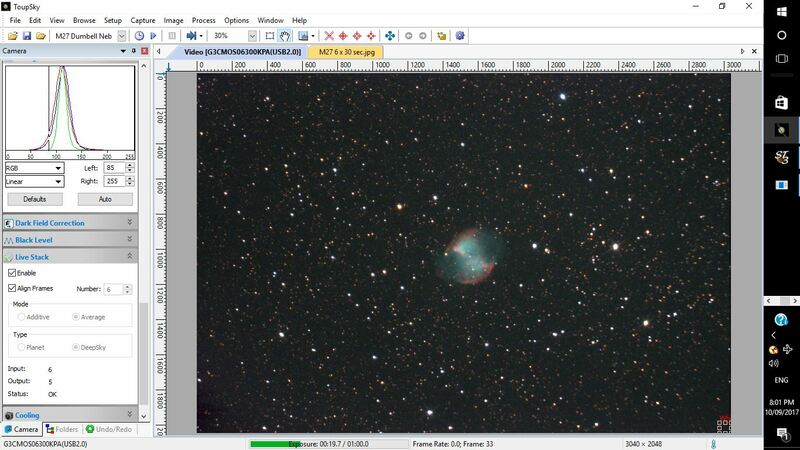 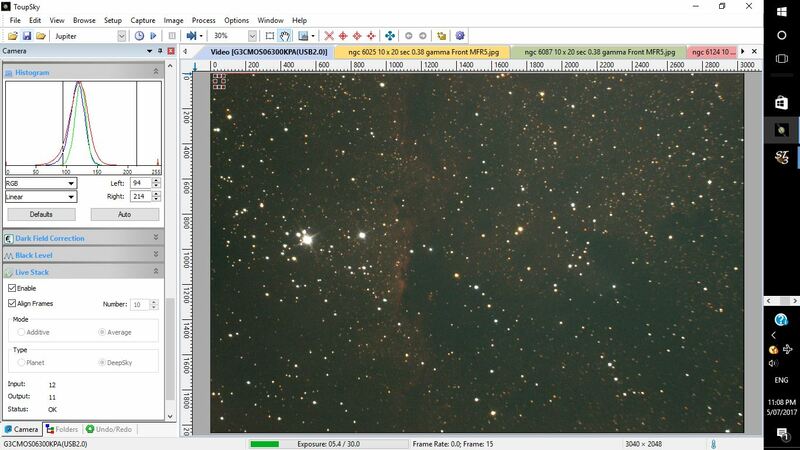 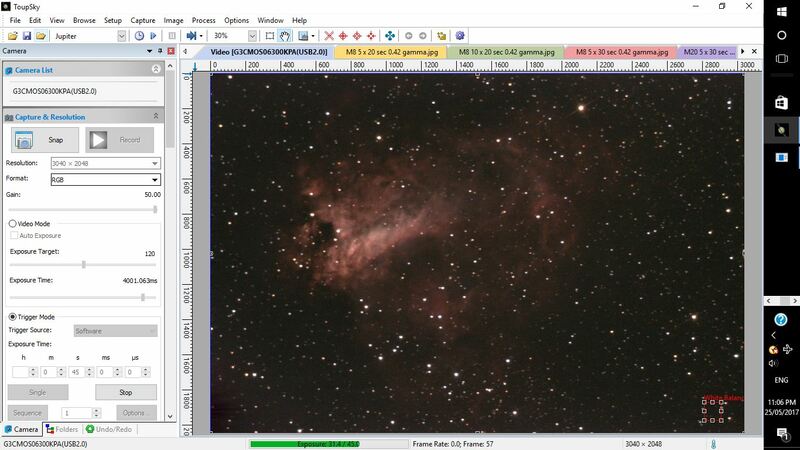 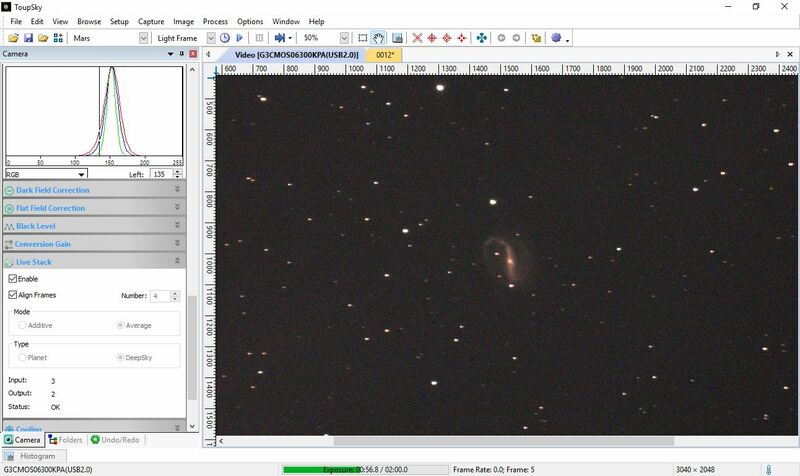 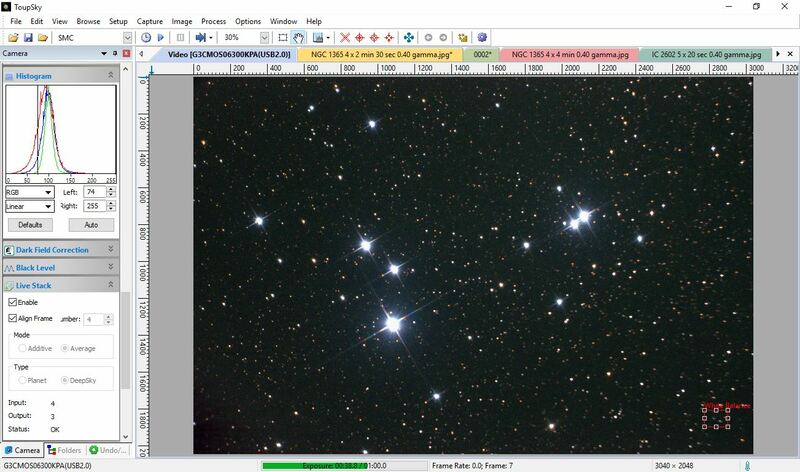 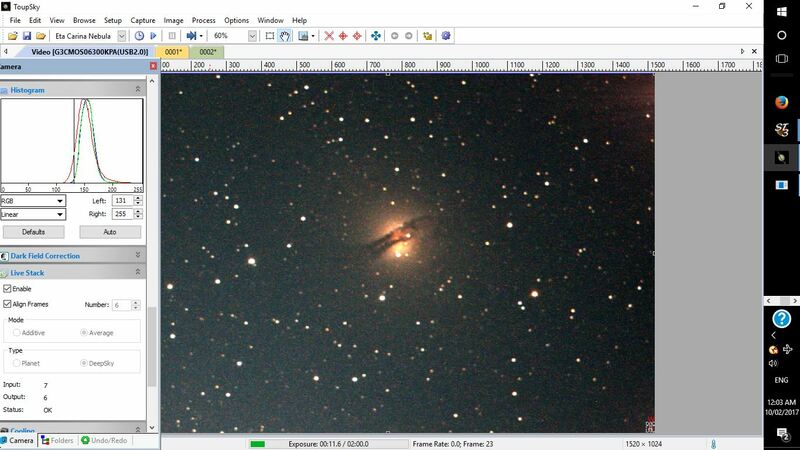 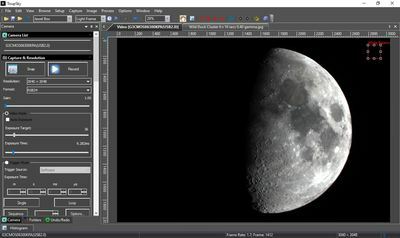 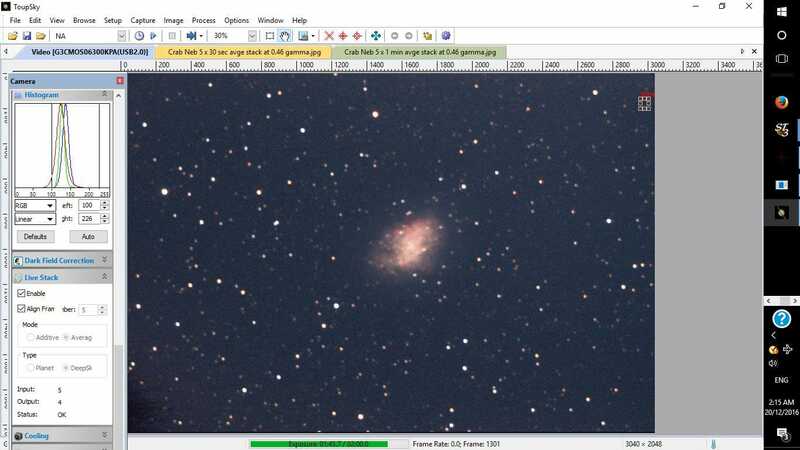 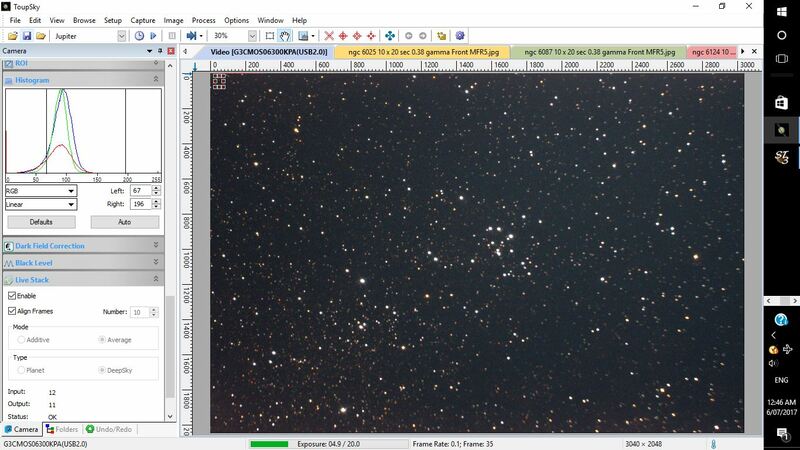 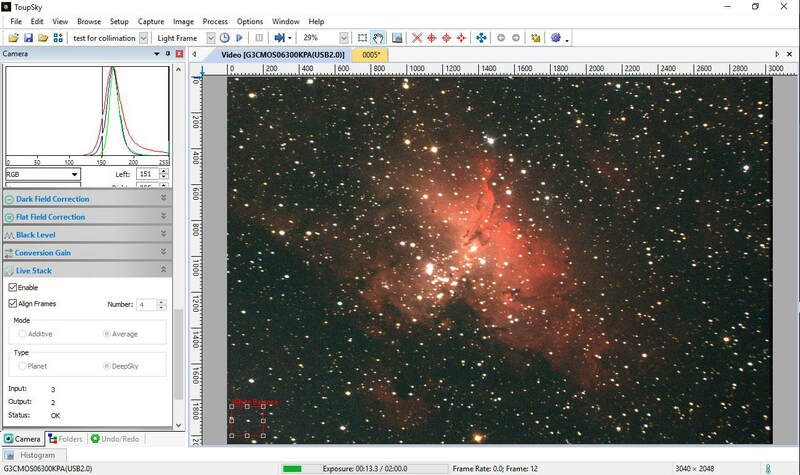 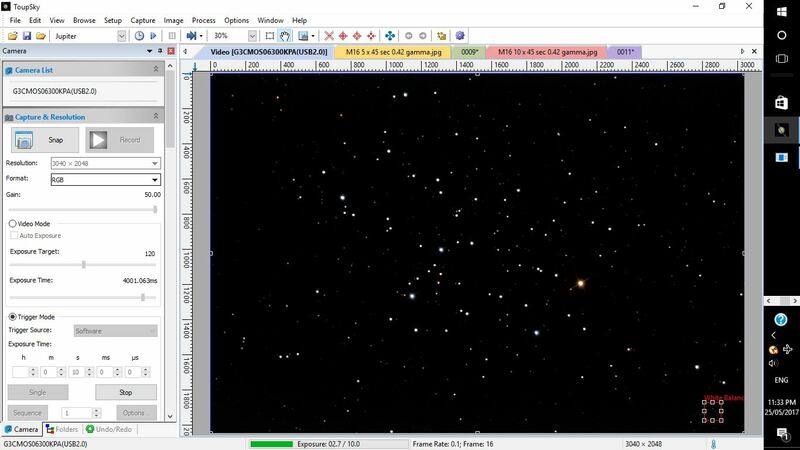 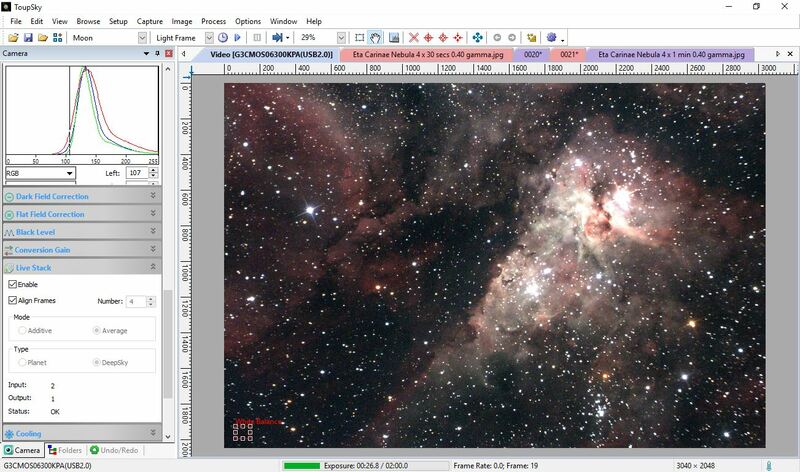 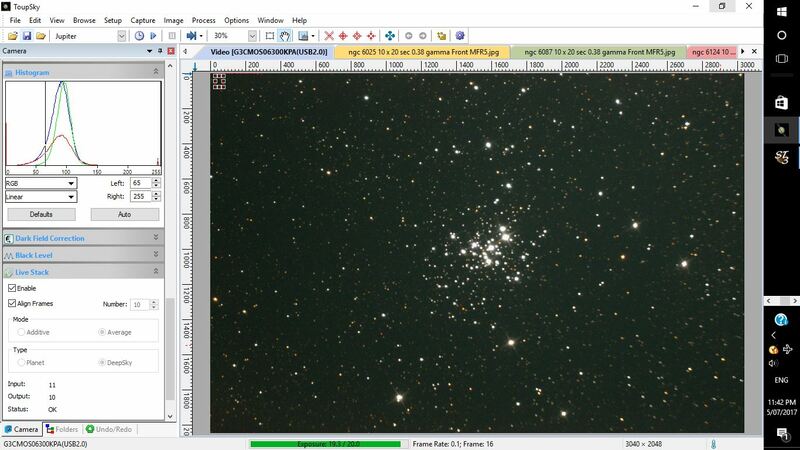 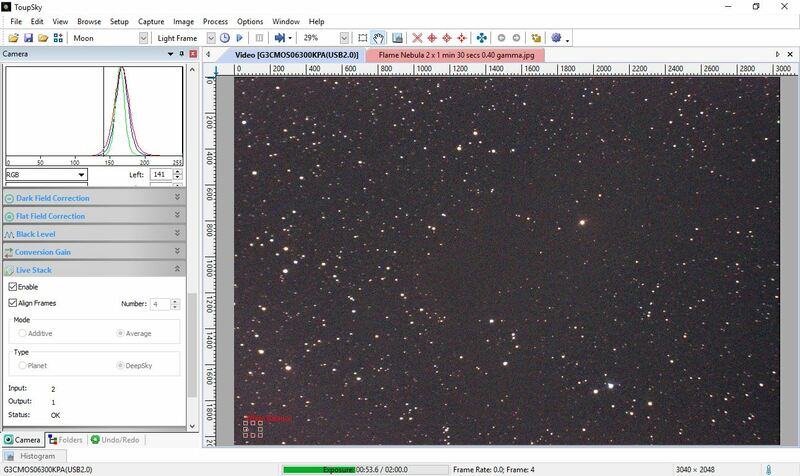 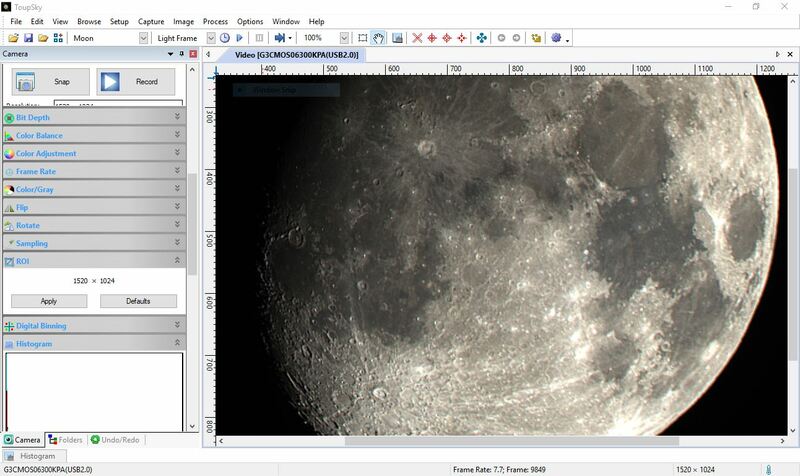 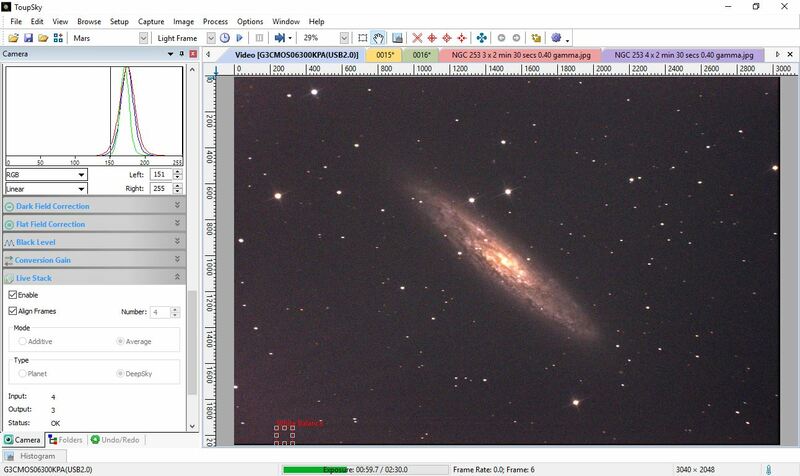 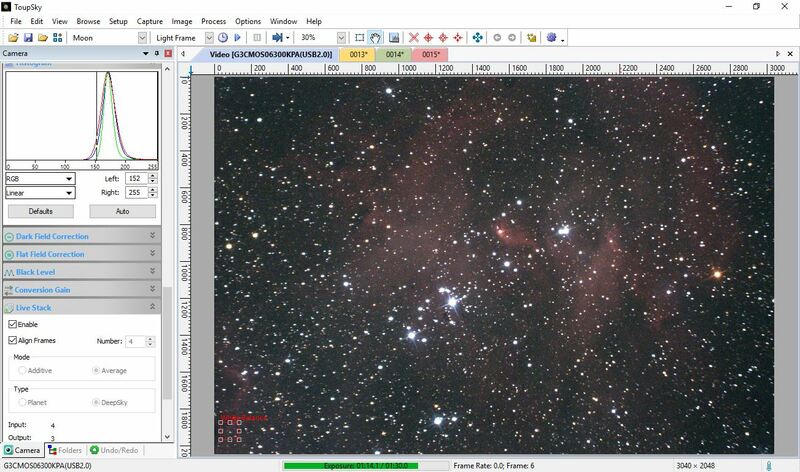 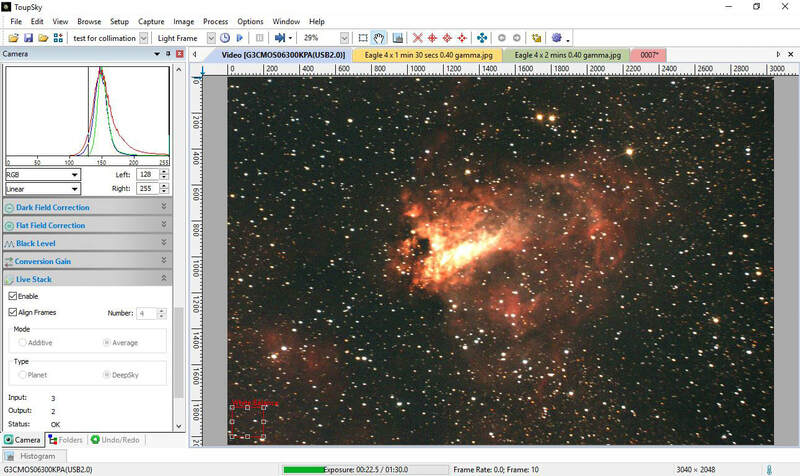 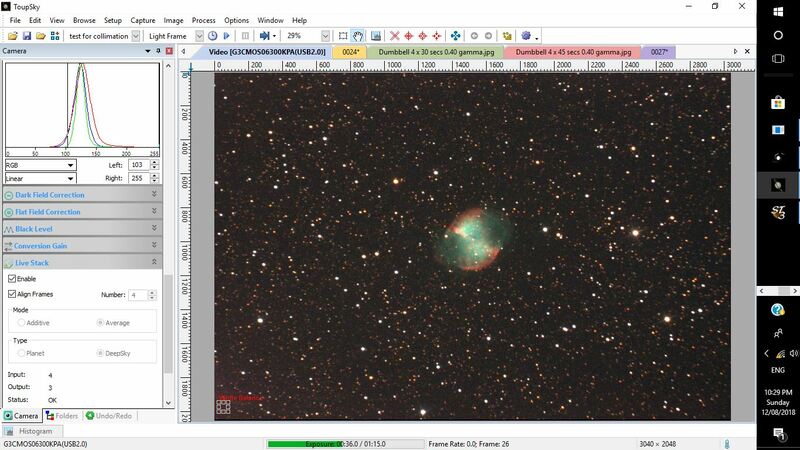 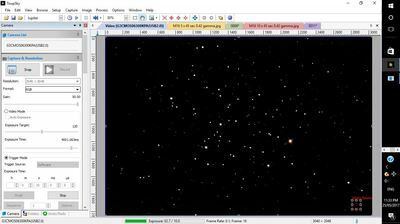 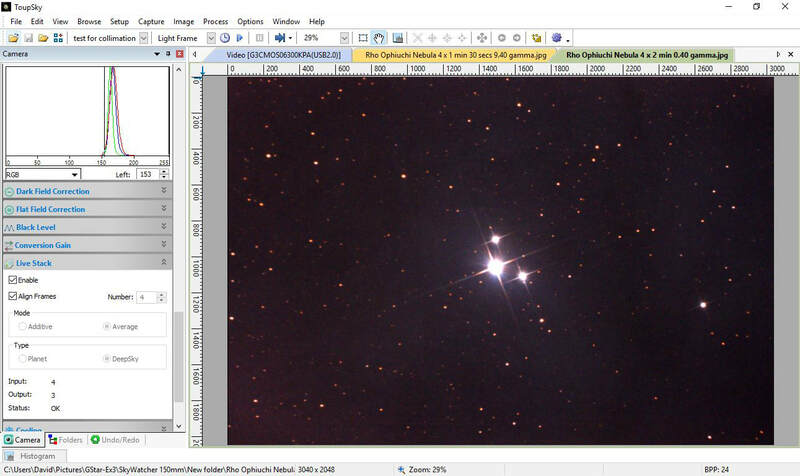 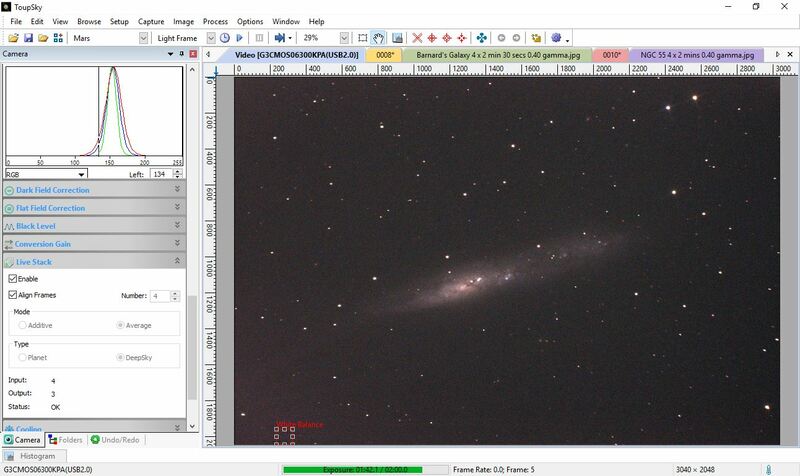 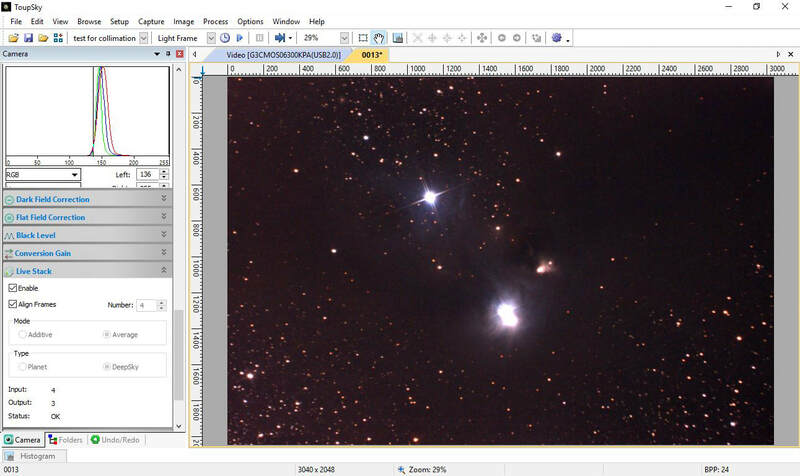 Because the imaging quality was so good it was worth while using the HEQ5 Pro mount so that longer exposures could be used to view really quite faint objects. 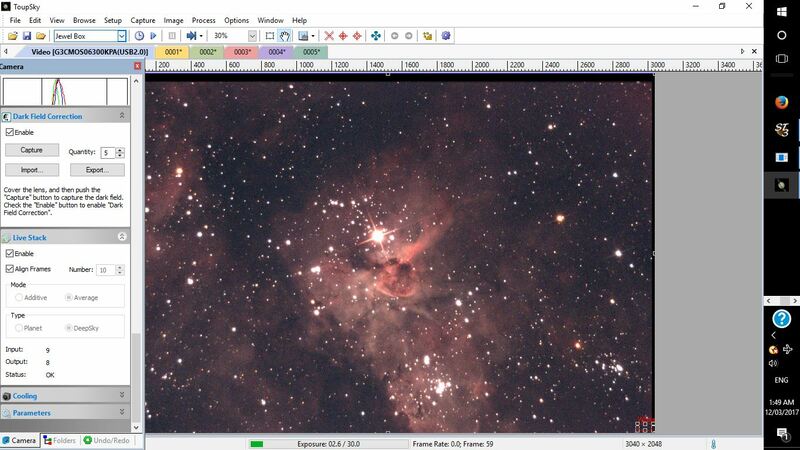 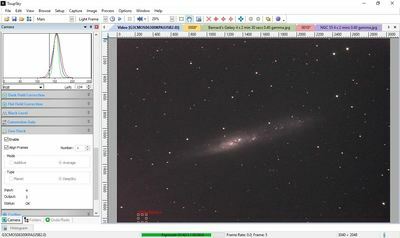 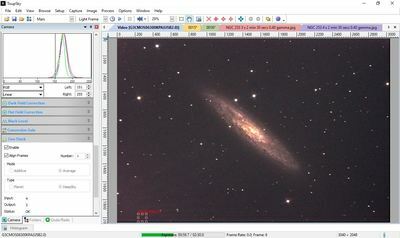 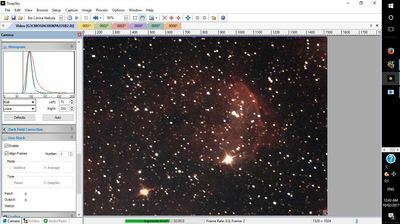 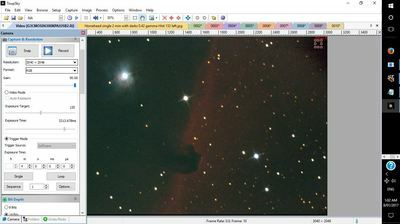 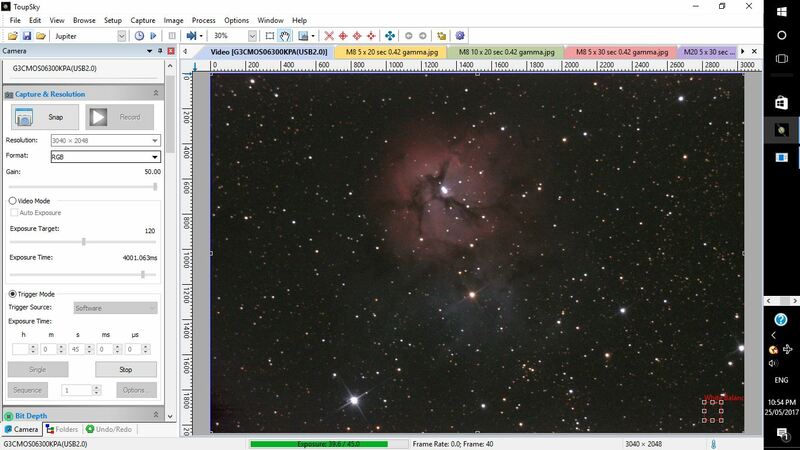 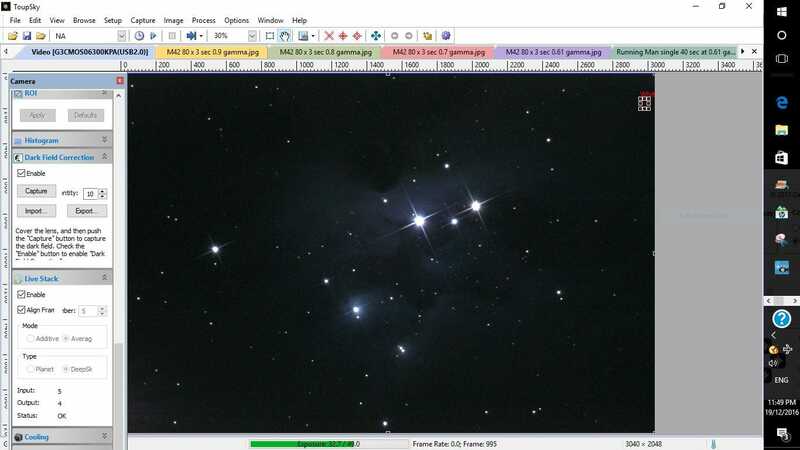 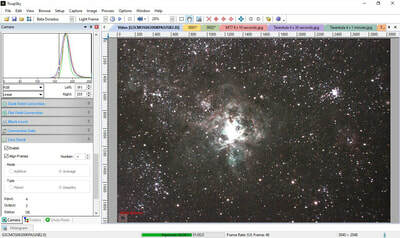 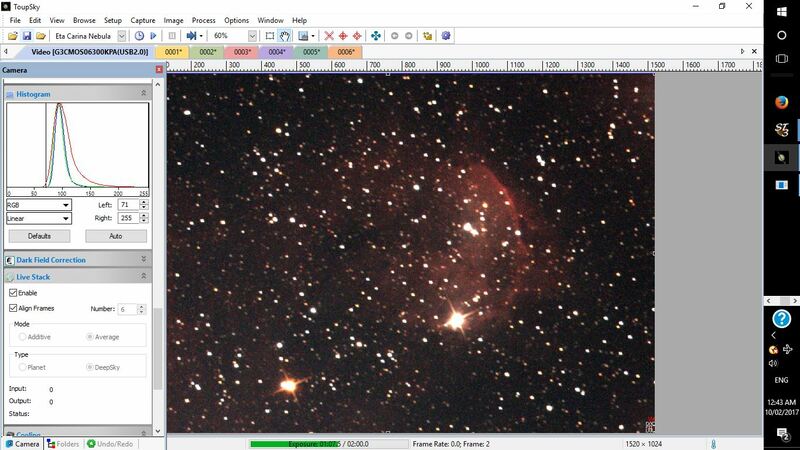 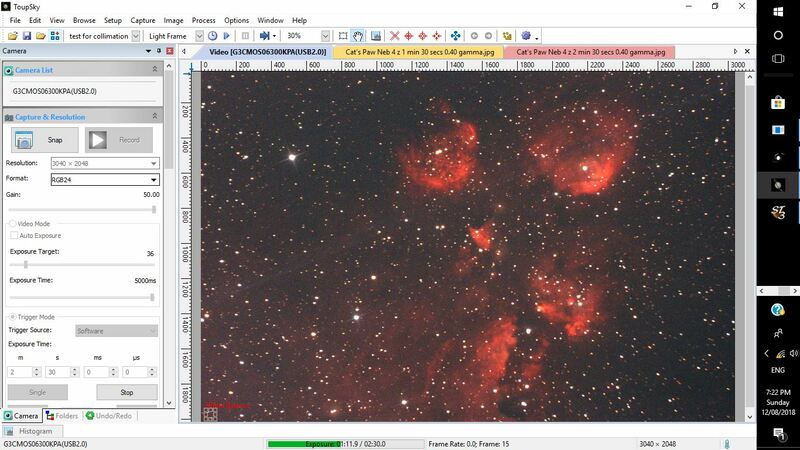 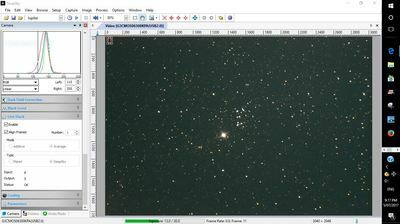 Experience showed that the viewers' experience was generally enhanced by enlarging the effective field of view to 57" x 38" by using one part of the MFR5 focal reducer to convert the telescope into a f3.4 system. 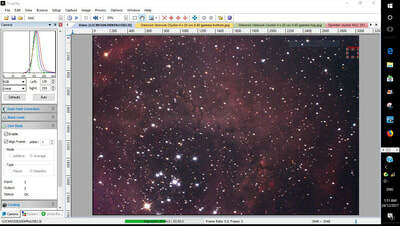 Set out below is a small selection of full-screen clips taken during a few viewing sessions. 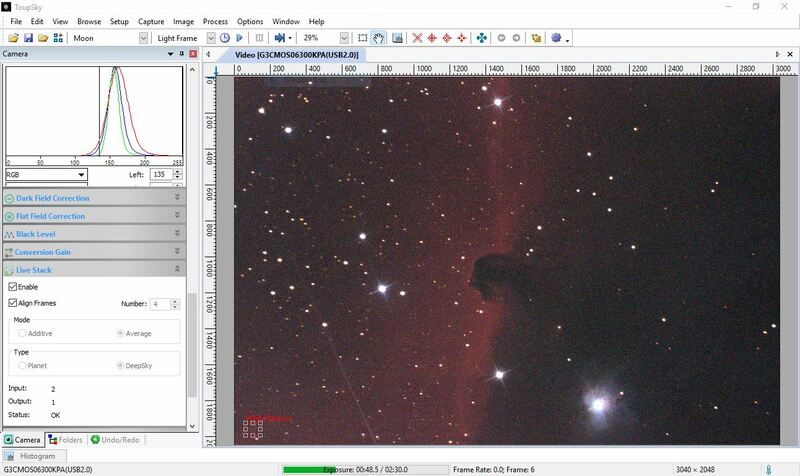 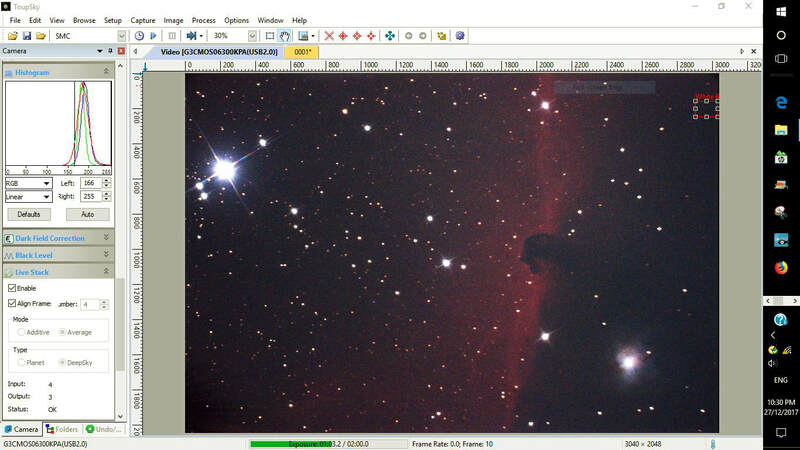 The Horsehead Nebula is a particularly challenging subject because it is so faint but the sensitivity of the camera allowed even the small 5 inch R130sf to produce quite a satisfactory display. 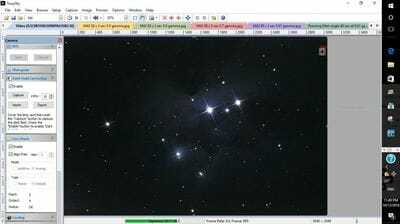 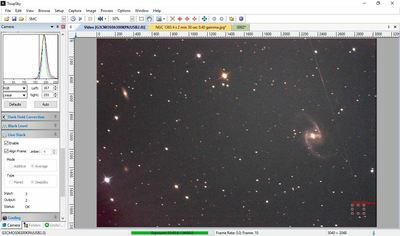 These clips show the immediate output from the camera that the viewer could see. As such they represent the actual experience delivered to public viewers in an outreach session. 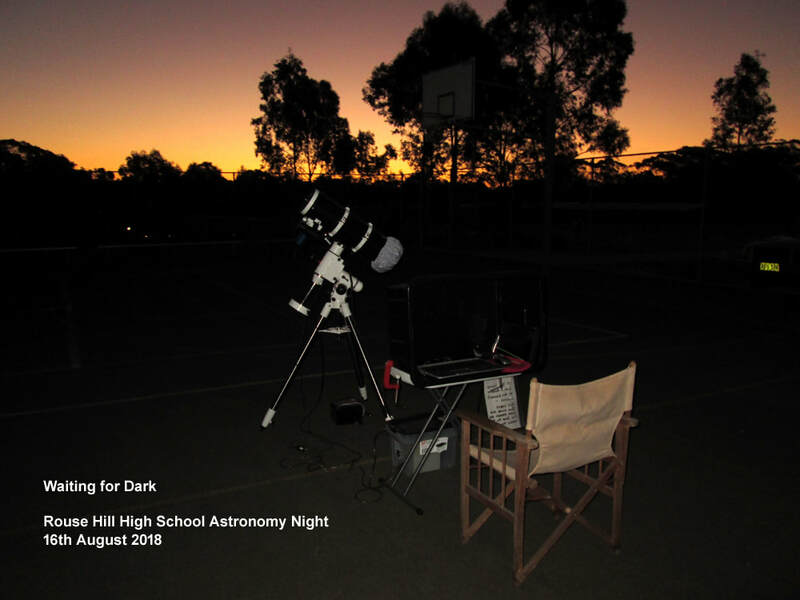 The arrival of the Sky-Watcher PDS 150mm f/5 telescope is in many respects a step up from the Vixen and it will be the workhorse for outreach purposes for some time to come. 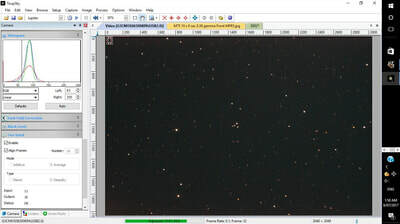 Because of the small increase in size of the primary mirror this new 'scope delivers a correspondingly smaller field of view which is a pity because a wide field of view is generally better for public viewing. 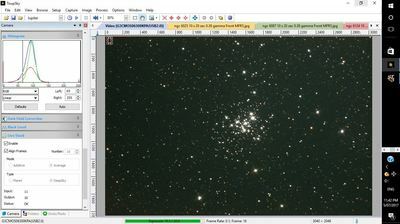 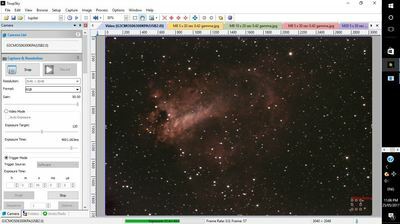 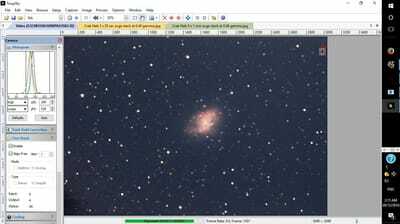 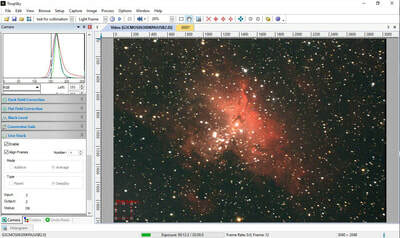 However, this slight drawback is more than compensated by the shorter exposure times needed. 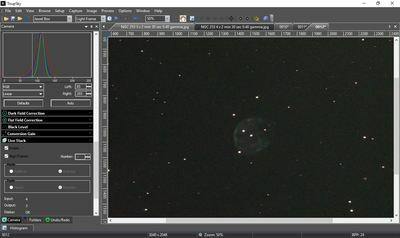 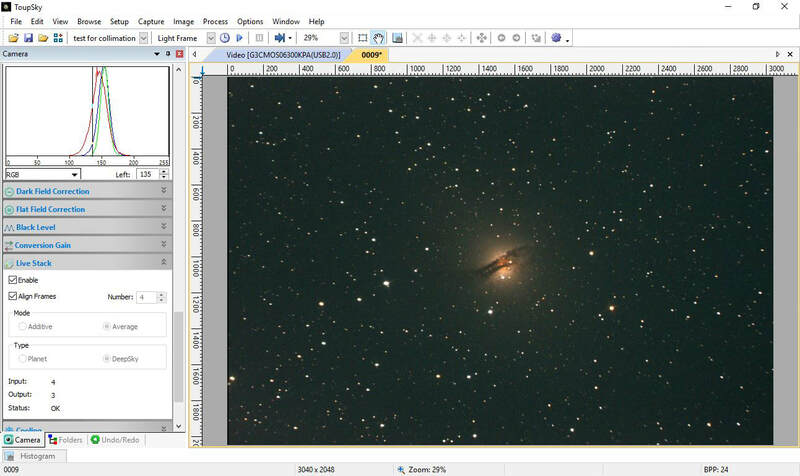 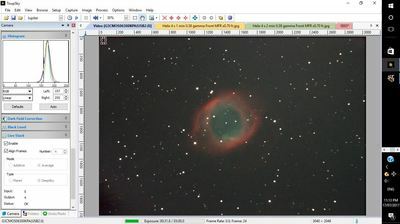 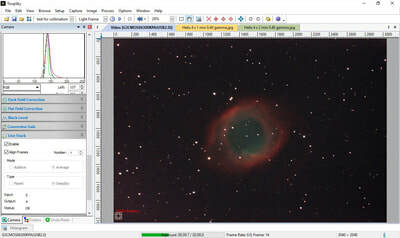 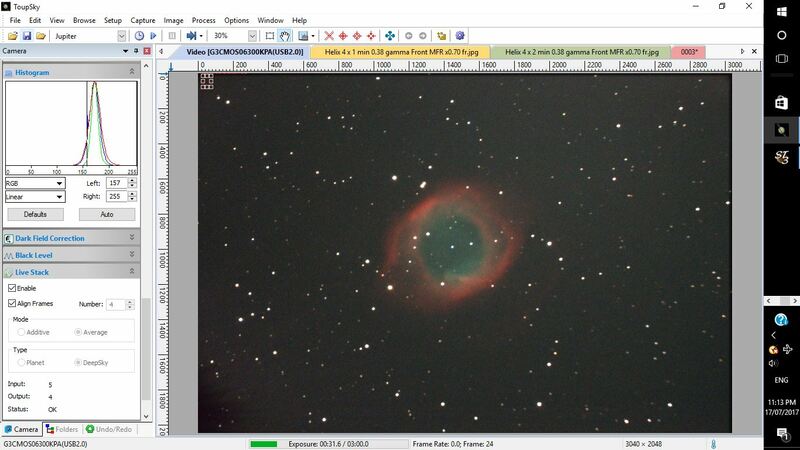 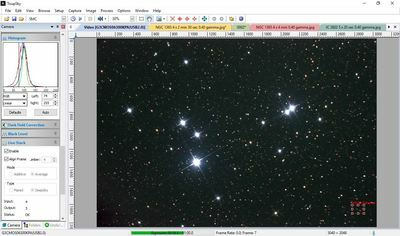 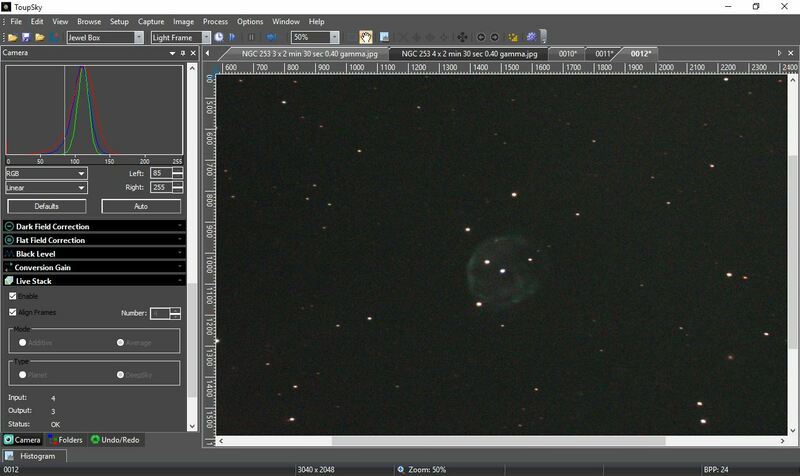 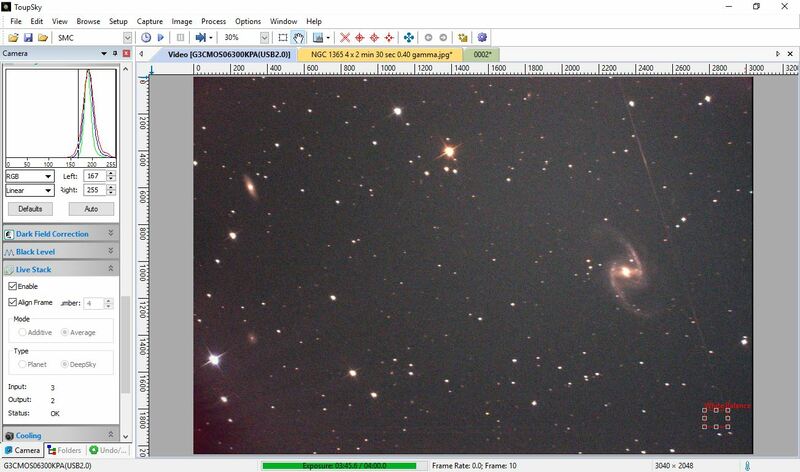 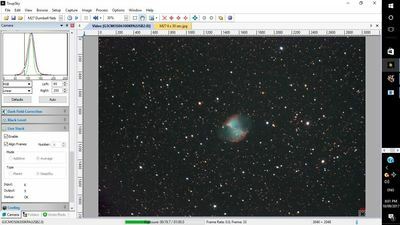 For example, compare the 2 minute exposure stack of the Helix Nebula below with the equivalent stack of 3 minute exposures delivered by the Vixen as shown above.